​In this article, we short-list the top wheelchair gloves that are currently on the market. Our aim is to provide you with the essential information needed to decide which are the best wheelchair gloves for your needs. The wheelchair is an invaluable solution to those with mobility problems. Nonetheless, operating a manual wheelchair requires use of hands and this may cause more problems including blisters, strains and calluses. To this end, wheelchair gloves were invented to protect the hands of the wheelchair user. Just like other types of gloves, there is a wide range of choices and a consumer may be confused. It is therefore the intention of this guide to help you pick only the best wheelchair gloves. We have researched on these gloves and compiled a list of the best of them based on a selection criteria explained later in this guide. RIMSports Premium Quality Gloves are ideal for women. They are created with the quality of lifting gloves and as such, they are highly durable even when exposed to daily use. 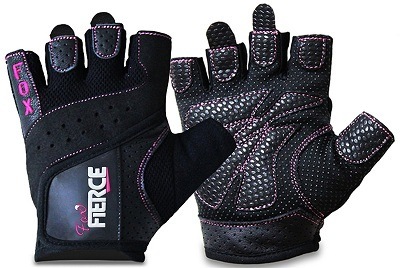 The lightweight design of the gloves makes them comfortable on your hands and gives them flexibility. Equipped with no-slip contact padding, the gloves are a great fit for those who are constantly using the wheelchair. The padding ensures a firm grip. Better yet, you do not have to buy another set of gloves for other tasks as these gloves are versatile. These gloves are created in a stylish design and come in a choice of three colors. 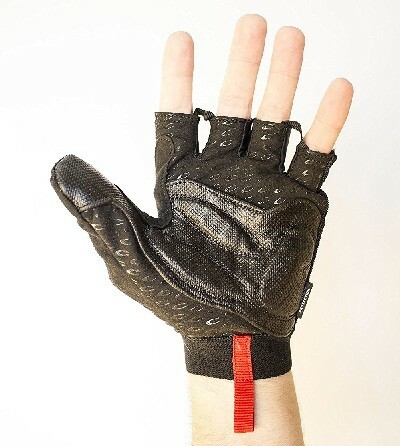 Their fingerless design enhances breathability and allows the user to perform other tasks such as holding items without necessarily removing the gloves. They are created from 100 percent leather and spandex, build materials which are durable and breathable. These gloves are hand-washable and retain their original shape for long. Seeing that they are created for heavy-duty use, these gloves are offered with a cushioning on their palm side, enhancing a confident grip. The diagonal Velcro straps hold the gloves securely to the user's hands ensuring that they stay in place even when pushing a wheelchair uphill. They are offered in standard sizes thereby getting everyone covered. Reviewers on Amazon.com are all praises with most citing the great fit of the gloves, the elegant design and the awesome overall performance of the gloves. Those who used these as wheelchair gloves love their grip and the accompanying straps as it makes their use easy. A number of reviewers, however, complain of the glove's durability. Originally, these gloves were designed for weightlifting for women but they have found their use in many heavy duty tasks. The gloves combine the comfortable feel of isolated padding with a high quality material to offer performance and durability. This half finger glove offers maximum grip thanks to its Figure 8 straps. These straps help you gain a better grip that you would on grips alone. It is created lightweight and with a breathable leather fabric that lets air in keeping your hands cool even during hot weather. The perforated design not only keeps the hand cool but also reduces sweat build-up to prevent calluses. It sports an easy pull design where the user only needs to pull the finger tab and they are good to go. The leather material that creates the glove is infused with a synthetic material for durability. They are easy to wash; you can cold wash them. An ebook guide, Fox Fierce Fitness Program and How To Use Figure-8 Straps, accompanies the gloves to make it easy for users. Seeing that these gloves were also created for bikers, they are great fits as wheelchair gloves. The gloves perform as they should according to Amazon.com reviewers. The padding and the figure 8 straps are the main attraction features of these gloves as per the reviews. However, a number of buyers complain of sizing. A number of men have also purchased the gloves for their own use as seen on the reviews. Seeing that these are half finger gloves, there is no much problem with finger sizing. The Chiba Gel Protect Gloves is specifically designed for wheelchair users. To this end, the glove is equipped with great features to ensure that it delivers as it is supposed to. First off, the glove comes with silicone and Kevlar material to offer a good grip. The thumb and palm areas have been reinforced with siliconized Kevlar enhancing the durability of the glove. It is a half finger design glove whose thumb and fingers are a bit longer to accommodate a high number of users. For comfort, the Chiba Gel Protect is fitted with ergonomic gel pads to protect the user's ulnar nerves and carpal tunnel, absorb vibrations and prevent numbness. This also keeps the hands warm during cold weather. 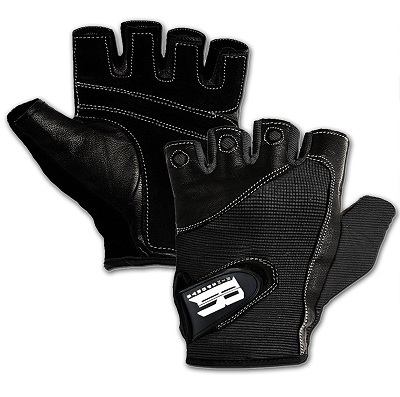 Even better, the half-finger design and the breathable fabric of the gloves keep the user's hands cool. It is offered with a simple pull on/off design with loop. They are created for heavy-duty use and as such, they last longer than your ordinary gloves. Reviews on Amazon.com praise these gloves citing its great sizing, its great comfort and performance balance, good grip and durability. The main complain however was on the price of the gloves which falls between $36 and $42. Nonetheless, the glove is durable enough for its price. Also designed for wheelchair users, LiquiCell Gloves are created to offer superior performance and comfort and last longer than your ordinary gloves. The padded palm area makes the gloves comfortable while the Lycra back makes them a good fit for hands of all sizes. They are ideal for men and women with varied designs and sizes available. These being full-finger gloves, the user will enjoy better protection from blisters, soreness and calluses. Their material is breathable thereby reducing build-up of sweat. Even then, the gloves are warm enough for cold weather. They are designed with grip pads on the palm area to enhance control. They sport an easy slip on/off design with hook and loop closure to ensure they hold their position during use. On Amazon.com, most of the wheelchair gloves reviews on this product are positive, praising the great performance of the gloves. Though these are not budget gloves, most users are okay with their price as they are long lasting and perform well. Protective – the primary function of a wheelchair glove is to protect the hands of the wearer from strains, calluses, blisters and soreness. Gloves therefore need to be sturdy with a resilient material and a good grip. Flexible – gloves should allow your fingers to move freely as the operation of a wheelchair involves a broad spectrum of movements. Again, you may need to do other tasks while still operating the wheelchair. Good grip – you must be able to have a good grasp of the wheels to be able to turn them. The grip should be more on the areas that come in contact with the wheelchair's hand rim. Breathable – to prevent soreness, irritation or sweaty hands, you need to ensure that the material of the glove is breathable. Half-finger glove designs are better when operating a wheelchair as they are more breathable. Comfort – gloves, just like any other wearable, should be comfortable. This is normally enhanced by use of gel pads. Supportive - to prevent injuries to the hand and wrist that may be caused by the strain, gloves should be able to support the hand. Wheelchair gloves can be made with a number of materials each with its share of advantages and disadvantages. Different glove materials may be fitted on different parts of the glove to produce optimal performance. Leather is tough and thereby durable. It is also resilient to wears and can withstand daily washing. Even better, it is breathable, waterproof and flexible. Most wheelchair gloves are made of leather in combination of another material. Neoprene is an alternative to leather. It is a rubber like material which offers slightly low sturdiness and stability compared to leather. However, this material is light, flexible and waterproof. Lycra is elastic and this makes it a great wheelchair glove. With elasticity comes flexibility and comfort and the glove naturally fits the hand of the wearer. However, Lycra is not as durable and waterproof as neoprene or leather. Suede looks stylish but that is as far as its advantages go. It is the least advantageous of the materials discussed here. It is normally combined with other materials for a good looking glove. Operating a wheelchair requires dexterity; you will need to perform other tasks besides pushing the wheelchair and to this end, traditional full finger gloves may be a hindrance. Most wheelchair glove manufacturers are designing half-finger gloves which leave the top portion of your fingers exposed and free to move. Though your finger can move freely, they remain exposed; with no protection from blisters, soreness, coldness and wetness. Manufacturers are creating both full finger and half finger gloves to give wearers the best of both worlds. Some gloves will also have a full-finger thumb with all other fingers cut-off. Wheelchair glove padding determines the comfort of the glove. Normally, the padding is thick and covers the entire area of your hand that comes into contact with the hand rim of the wheelchair. A good padding will protect the glove wearer from blisters and calluses. When the padding is made of rubber, it offers max grip. It can also be made of gel to offer protection and cushioning. A wheelchair glove needs to stick to its position for comfort during use. To this end, these gloves are equipped with fastenings and cuffs. Most fastenings are made of Velcro. These are easy to use, solid and sturdy. 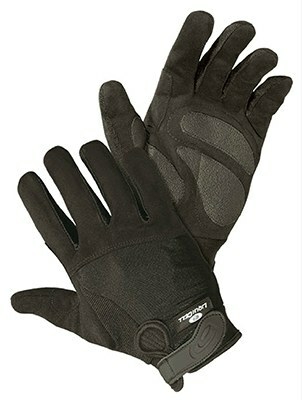 There are some gloves equipped with stretchy cuffs which offer a comfortable and firm attachment. It is also recommended to know the proper use of a wheelchair ​to avoid tipping over and get into accidents. We like the RIMSports Premium Quality Gloves more than other gloves in our best wheelchair gloves review. This wheelchair gloves is designed sturdy enough to withstand constant use and daily washing while still offering great support and comfort. Originally, this glove was created for weightlifting and only a small tweak was made to make it a wheelchair glove. To this end, it has a thick but comfortable padding to withstand heavy-duty use and a high quality and high durable leather material. 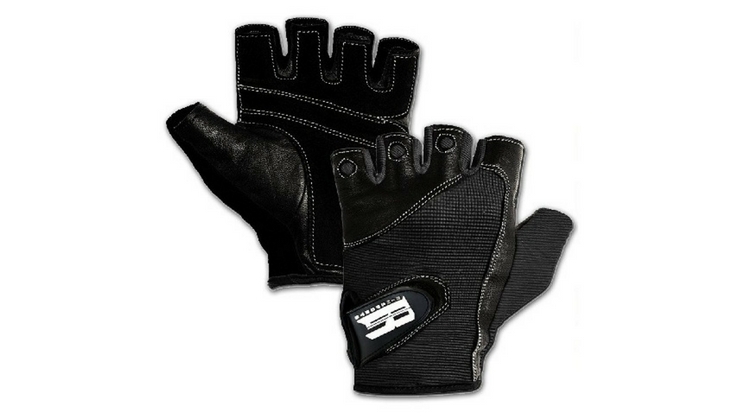 This half-finger glove has a breathable leather material with a non-slip grip. This glove shines on Amazon and we love its price; it costs between $18 and $22. It is stylish and available in a choice of three colors.